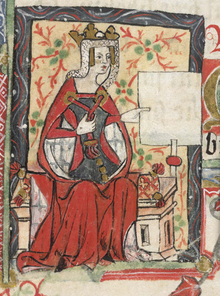 Today I am delighted to welcome Michael Evans, whose book Inventing Eleanor: The Medieval and Post-Medieval Image of Eleanor of Aquitaine will be published by Bloomsbury Academic in late September. Michael has lectured in medieval history at several universities in Britain and the United States. He is currently a lecturer at Central Michigan University, and is on the editorial board of the excellent blog Medievally Speaking, a project of the International Society for the Study of Medievalism. 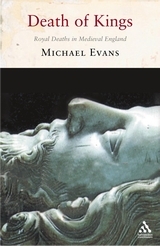 Michael has also published The Death of Kings: Royal Deaths in Medieval England (2003). 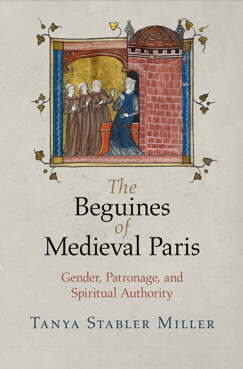 In this book you address the myths that have grown up around Eleanor of Aquitaine, a process that began in her lifetime. Did a particular myth serve as your inspiration? Yes, it began when I was researching a paper about women and the crusades, and was forced to examine critically the story that Eleanor and her ladies had dressed as Amazons on the Second Crusade. I found that modern historians often cited one another in a circular fashion, while nineteenth-century writers cited antiquarians rather than medieval chroniclers. A reference in Alison Weir’s biography of Eleanor even turned out to be a typo! There is no medieval source whatsoever for the idea that Eleanor and her ladies dressed as Amazons at the French court in 1147, when she and her husband Louis VII took the cross. This was an invention of early-modern antiquarians. The claim that she dressed as an Amazon queen when the army passed through Constantinople at least has a medieval source behind it, the Byzantine historian Niketas Choniates. However, Niketas was writing seventy years after the event, did not name Eleanor, and referred to a German queen. In preferring the myths over the facts about Eleanor, have her admirers overlooked aspects of her life or character that you find particularly admirable/fascinating/surprising? If so, could you name a few? Yes, they have. The focus on her exceptionalism – the idea that she was a remarkable woman ahead of her time – detracts from her role as a powerful woman of a type that was not unusual in the twelfth century (we may compare her to her mother-in-law the Empress Matilda/ Maud, for example). She was a more-than competent ruler on behalf of her husband Henry II during his absences from the kingdom, and when her son Richard the Lionheart was absent on crusade and in captivity. In particular, I think her role in the reign of her son John has been neglected, perhaps because the Plantagenet family dynamics of Henry’s reign are seen as more dramatic, or because John’s reputation is so bad that there is a reluctance by Eleanor’s modern admirers to see her as an advocate for ‘Bad King John.’ She was well into her seventies by then, but played a vital role in securing him the succession in 1199, and came out of retirement to defend the castle of Mirebeau against his enemies in 1202, by which time she was at least 78 years old. What do you hope readers glean from Inventing Eleanor? I hope they come away with a sense of how much of what we think we know about Eleanor is a myth, but that they also retain a sense that she was a remarkable woman who is well worth studying on the basis of the real historical record. More generally, I hope they appreciate how all history is shaped and mythologized, and that they are inspired to read about the remarkable medieval women who have been overshadowed by Eleanor’s powerful image. Some consider Eleanor an early proponent of women’s rights. In your research, have you found any evidence she actively sought for more freedom and power for all women? Perhaps for noble women? Or at least royal women? It’s anachronistic to see her as a feminist or women’s rights advocate. She was a product – and beneficiary – of the political and social system of the time (is it still OK to call it feudalism?) I like to joke, somewhat cynically, that it is easy to be an independent woman when you have inherited half of France. The idea of Eleanor the proto-feminist is based on misunderstanding the role of elite women in the twelfth century – while obviously women did not enjoy the same rights and privileges as men, they were able in certain circumstances to hold land, rule kingdoms, put armies into the field, etc. There was no occasion when Eleanor was an advocate specifically for women – indeed, she fought hard for the inheritance of her male offspring, to the extent of siding with John against her daughter-in-law Constance of Brittany. 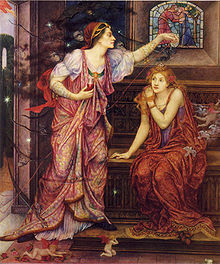 Do the various arts favor specific aspects of the Eleanor myth? For instance, do painters tend to favor certain myths about Eleanor vs those favored by composers and librettists? Playwrights vs novelists? I don’t think we can generalize about Eleanor’s treatment in particular art forms, as, until the twentieth century, artists of all disciplines tended to focus on what the French historian Martin Aurell has dubbed the ‘black legend’ of Eleanor. The Fair Rosamond story featured in many artistic representations of Eleanor; readers will no-doubt be familiar with Rosamond Clifford, Henry’s lover, and the later legend that Eleanor had her poisoned. Playwrights and librettists of the eighteenth and early-nineteenth centuries portrayed Eleanor almost exclusively in the context of works about Rosamond, but interpreted her character in different ways. Sometimes she was the vengeful murderous queen, other times she was treated more sympathetically as Henry’s neglected and wronged queen. For example, Thomas Addison’s comic opera Rosamond of 1706 has a happy ending – Rosamond does not die, and Henry and Eleanor are reconciled. By Victorian times, however, the negative view of Eleanor tended to predominate – she appears as a malevolent force in late-nineteenth and early-twentieth century paintings of the Rosamond legend, while Tennyson’s play Becket of 1884 even contrives to give Eleanor a hand in the archbishop’s murder, as well as that of Rosamond. This may reflect the Victorian cult of domesticity, to which a powerful woman like Eleanor represented a threat. Twentieth- and twenty-first century novelists have been more favorable to Eleanor, reflecting the rise of the feminist movement and the improvement in the position of women – modern readers of historical fiction (the majority of whom are women) want strong female characters, not simpering damsels or grotesque crones. 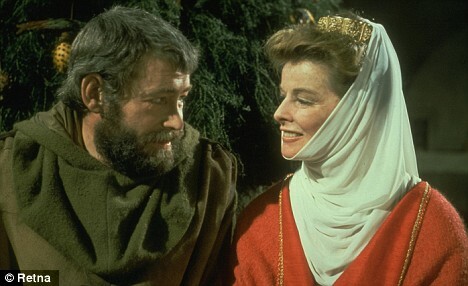 How accurate is the Eleanor in The Lion in Winter? 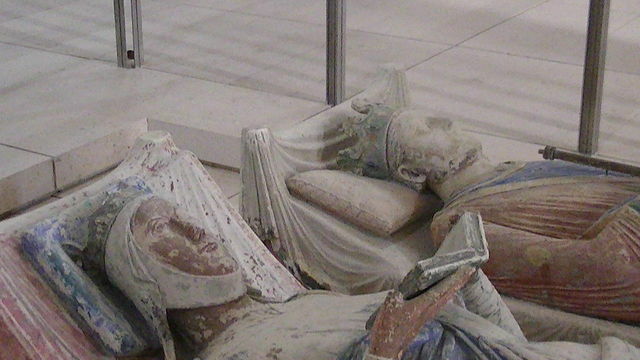 Did you find any periods in which Eleanor of Aquitaine seems to have been forgotten? Eleanor has been written about pretty continuously from her own time to the present. She does seem to have been relatively absent from ‘high’ culture in the sixteenth and seventeenth centuries, although she was represented in ballads at this time (and these appear to be an important source for the formation of her ‘black legend’, notably the idea that she killed ‘Fair Rosamond’). She is featured in Shakespeare’s King John, but that was his only play set in early-Plantagenet times. Are all the myths about her essentially positive? A woman to be admired? Far from it; they were mostly negative until recent times. Eleanor the incestuous adulterer (the one part of the myth that is actually contemporary to her, originating in rumors about what she and her uncle Raymond of Antioch may have got up to when she was on crusade). Eleanor the lover of Saladin (a later medieval elaboration on the rumors of her adultery with Raymond). Eleanor the murderer of Rosamond. Eleanor the ‘canker’d grandam’ of Shakespeare’s King John. The ‘positive’ myths are mainly products of the twentieth century; for example the idea of her as queen of the courts of love is attractive as it makes her a figure of female authority and agency, as well as a key patron of culture. She has been celebrated not just as a powerful woman, but as a symbol of other causes; for example, the erroneous belief that she was uniquely important as a patron of troubadours has seen her turned into a champion of the Occitan culture of southern France, even though she spent most of her life in the north of France or in England. In modern times even negative myths have been given a positive spin; when, in The Lion in Winter, she talks of dressing her ladies as Amazons it is a proud boast, not an example of girlish frivolity. The troubadours and the courts of love–are they myth? Yes, largely. She was undoubtedly raised in a courtly, troubadour culture, given that her grandfather was William IX of Aquitaine, ’the first troubadour’. However, there is no evidence to suggest that she or her court were important sources of patronage for troubadours. She is more firmly linked to Norman-French authors such as Wace, who dedicated his Roman de Brut to her, than to the Occitan-speaking troubadours. As for the ‘courts of love,’ the scholarly consensus today is that they were a literary device – or even a satirical joke – invented by Andreas Capellanus. What surprised you in your research? The longevity of some of the myths about her! I set out, rather arrogantly as it turned out, to be the first person to write a ‘myth-busting’ account of Eleanor’s life, only to discover that the myths had largely been ‘busted’ already by academic historians. For example, the reality of the ‘courts of love’ was challenged over 150 years ago. Yet the legend lives on… I think the popular image of Eleanor is so powerful, and so appealing, that it will not die. After all, who would not want to picture Eleanor, dressed as an Amazon queen, riding off on crusade at the head of a band of armed women? Writing a book is a journey, isn’t it? Did you find yourself in weird or simply unfamiliar territory? 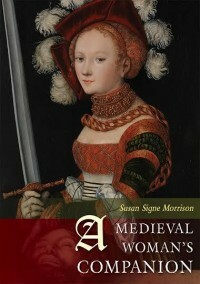 How did the research for this book differ from that for your previous book The Death of Kings? As we’ve seen, this book took me far beyond the medieval chronicles that had been my source material for the previous work. In a sense, this worked in my favor – moving from Oxford to central Michigan took me far away from the research libraries that I had taken for granted, making medieval sources harder to access, so it made sense to turn more to post-medieval works. The internet was my friend, especially the wonderful resource Gallica, which is an online archive of material from the Bibliothéque nationale. This has given my book more of a French spin than I had intended originally, but Eleanor is as much a figure of French as of English history, so this seems appropriate. I am currently enjoying not having to work on a single project, and am working on miscellaneous papers that grew out of the Eleanor research. They are linked by my interest in the growing field of scholarship in medievalism – that is, post-medieval views of the Middle Ages. The continuing interaction between our own age and the medieval past is fascinating, and deserves more serious study. I love hosting guests on A Writer’s Retreat, but this week the tables are turned and I’m the guest of two wonderful blogs, Passages To the Past and Word Wenches. Come have a look!